Here are a few of the logos I’ve created. They are mostly styled text combined with patterns or images. I am not a professionally trained graphic artist nor an illustrator. That’s right, I don’t claim to be a logo designer, but as a one-stop-shop web design guy I know how to use Photoshop and put together some reasonably appealing visual images. Sometimes clients don’t have a logo and just need something “logo-ish” to go up on their sites where you might expect a logo. Then I say, “I’ll give it a shot” and some of my shots hit the mark and some miss. Usually I come up with a rough design pretty quickly and with a few back & forth emails the client and I zero in on something that is acceptable in an hour or two, sometimes less. It can be a cost effective alternative. 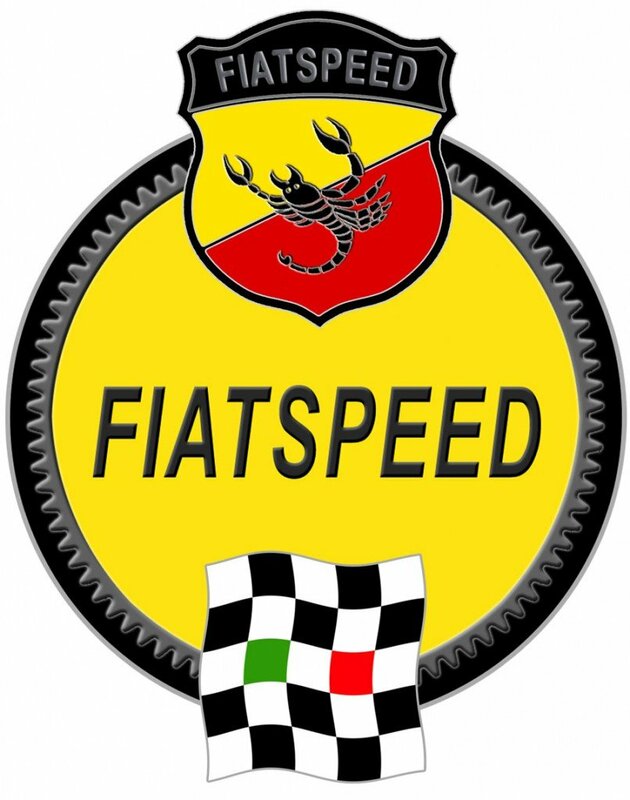 The FIATSPEED emblem was designed for an Italian automotive performance parts distribution company. The checkered flag signifies winning the race, while the center three squares of Green-White-Red coloring are an embedded Italian Flag. 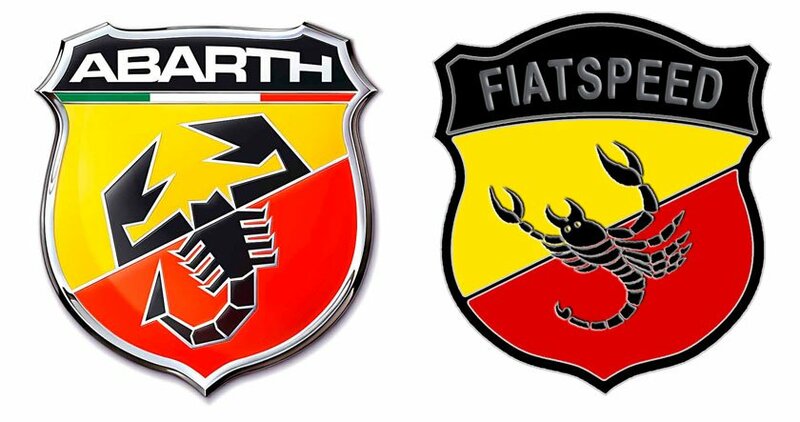 I was directed by my client to “emulate” the Abarth Ferrari Tribute badge (shown to the left above.) Of course, I couldn’t just trace the exact design, so I recreated a badge following the same concept but with substituted graphic elements. My “re-envisioned” version is on the right. A logo for my creativity blog/website, imagiNed.com. 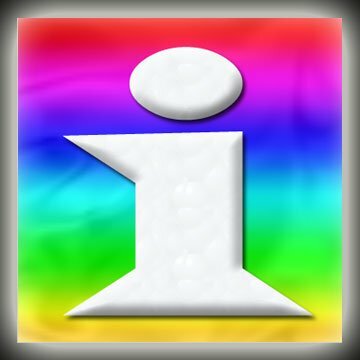 Rainbow for creativity, stylized “i” for a (stylized) person expressing an idea. Same logo adapted for this website: imagiNed-Web-Design.com. Notice that it scales well enough to be recognizable as the favicon in the address bar (and browser tab) of your browser. With a client whose name could be mispronounced so many different ways (some, not so flattering) I thought it might be a good idea to put pronunciation clues right in the logo. 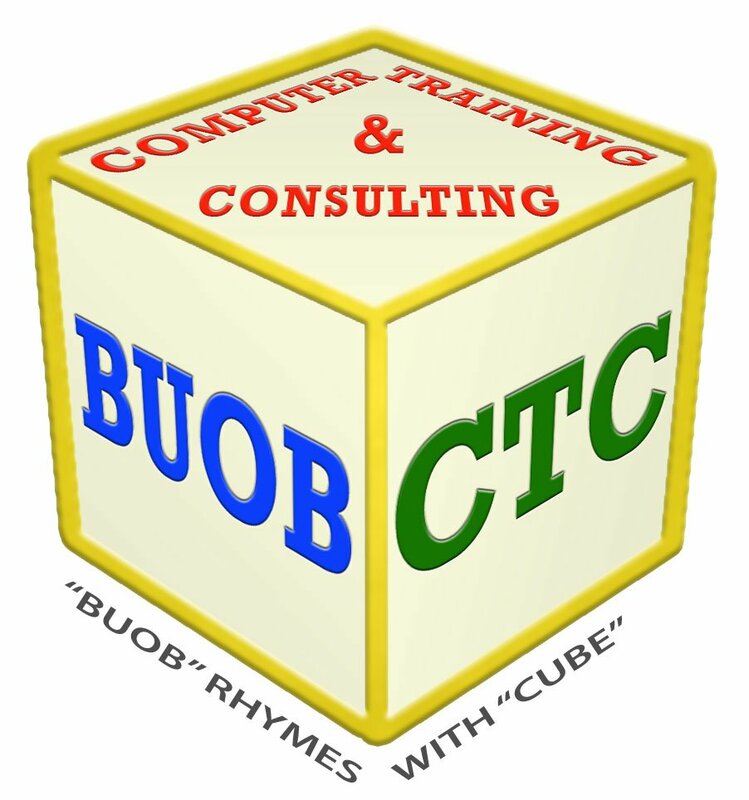 I reinforced the “BUOB” Rhymes With “CUBE” meme by actually making the logo into a cube, reminiscent of a child’s alphabet blocks.You can see how two variations on this “logo” were used in two different sites here. This logo doesn’t scale quite so well, but it was created primarily for use on printed materials. Going left to right, notice how the design evolved according to feedback from the client on intermediate stages. The final version is bottom center, with a gray-scale variation bottom right. 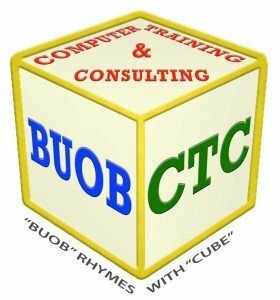 I developed this logo according to the client’s exacting specifications for color, font, shape and spacing. (Yes, he specified the capital C in .Com) This graphic was used in syndicated news feeds to brand my client as the author of these articles in real estate industry news publications. The graphic was modified (again, to my client’s specs) to create the website header image for his real estate blog. When the first Christmas rolled around, the client asked me to modify the header to have Santa delivering presents at the chimney, to give the entire website a festive feel for the holidays. DeadlineNews.com header graphic, decorated for holidays. Fabrications designs unique fabric wall hangings and sells them on the craft sales site, Etsy.com. I took a photo of one of the fabric panels and used it as the “material” for all elements of this visual design. A little while later, after learning the dimensional restrictions for a shop banner on Etsy.com, I had to radically change the form factor of the design to accommodate the dimensional requirements. This much more vertically compressed graphic was the final result. Logos reconstructed or reconstituted because the original design files or high-res images were not available. GIF animations have their place on the web when used sparingly to direct attention for a specific purpose.